Ok, awesome! 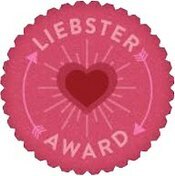 Crazy Nail Lady recently nominated me for a Liebster Award! I've never been nominated for any blog awards.. I kind of never really knew what was going on with them. So how nice is that?! Check out her other nominees here. 2. You must answer the 11 questions the 'tagger' has set for you. 3. You must create 11 more questions to ask bloggers you have decided to tag. 4. You must then choose 11 bloggers with less than 200 followers and tag them in your post. So, here is my shot at this! I have no idea what to write for the 'things about me'... I don't want to bore my readers here lol. Ok, let's see..
Who is your hero and why? My parents because they are amazing people. Where is one place you would go if money weren't an object? Every country in Asia. What are your three favorite things to do when you have no other obligations? Go to the beach, watch TV, be with people. What is your most prized possession (not a person)? Some of my souvenirs from my travels. What is your favorite memory? Laughing with students abroad. How did you choose the name of your blog? I wasn't sure what new things I wanted to try and blog about exactly so I didn't want to get too specific.. so I thought "Try It" would make sense for what I was doing. What is your favorite thing about blogging? Getting comments! By far! If you could design your own polish line what would it be called and what would be the first collection you would create? Maybe... Water Shine. I gravitate toward greens and blues so I'd probably put out a lot of cool water colors. What is your go to color? Not sure really... maybe white or green. Where do you get inspiration for your manicures? Pinterest! And other bloggers. Do you own any indie polishes? If so, what kind? If not, what is the first one you would buy? I do not own any and I honestly don't know very much about them but I'd be willing to try any. 1. If you didn't have to get up for work etc., would you be a morning or night person? 2. What is your biggest frustration with blogging? 3. What country are the majority of your readers in according to your Stats? 4. It's time to buy a snack but you can only get one. Do you go with the salty snack (chips, popcorn, pretzels) or do you go with the chocolatey snack (chocolate bar, cake, pudding)? 6. What decade were you born in? 7. What's your favorite TV show at the moment? 8. What type of weather do you love the most? 10. Do you have any jewelery that you wear every single day? 11. If you could save one sad situation in this world and give them a happy ending, which would it be? Thanks again to Crazy Nail Lady for getting me involved in this exciting promo. Bloggers, if you're posting a response to this post, please link it back in the comments so I can read your answers! Readers, please follow these blogs to help them all get new readers! Thank you so much Carmella, for nominating me! Working out is totally boring for me too! TV does lessen the boredom a little though ;) I tagged you for the Liebster Award here http://thenailartiste.blogspot.ca/2012/08/the-liebster-award-discover-new-blogs.html but it seems I already have your facts and answers haha. I hope you'll stop by anyways!